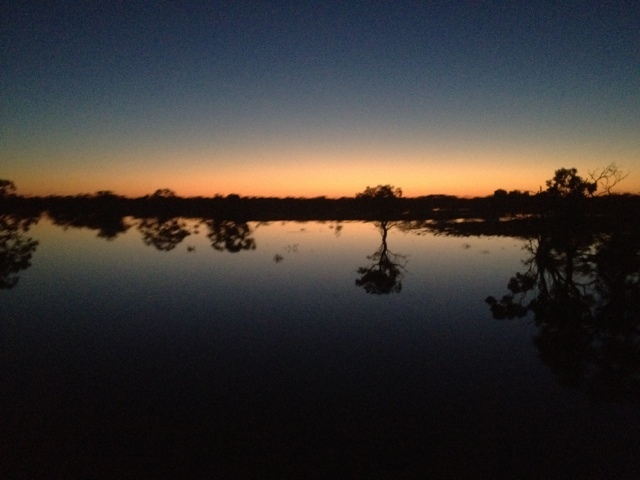 The Menindee Lakes. First time they'd been filled with water in nine years apparently. We were lucky enough to pass them at sunset. This was a snap I too with my iPhone.